Ride with confidence over wet grass, uneven pavement, loose gravel and dirt for the more rugged commute. 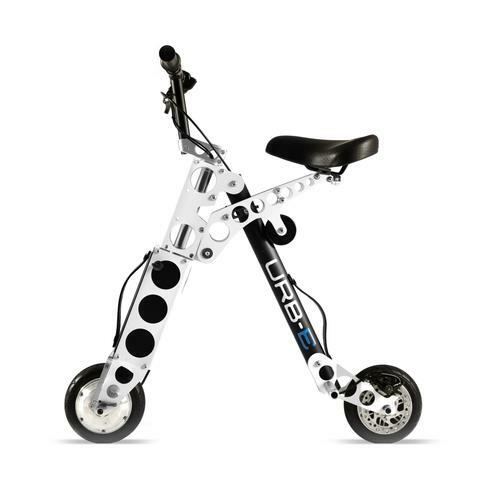 The URB-E Pro is incredibly compact and easily folded down to fit underneath your desk at work. 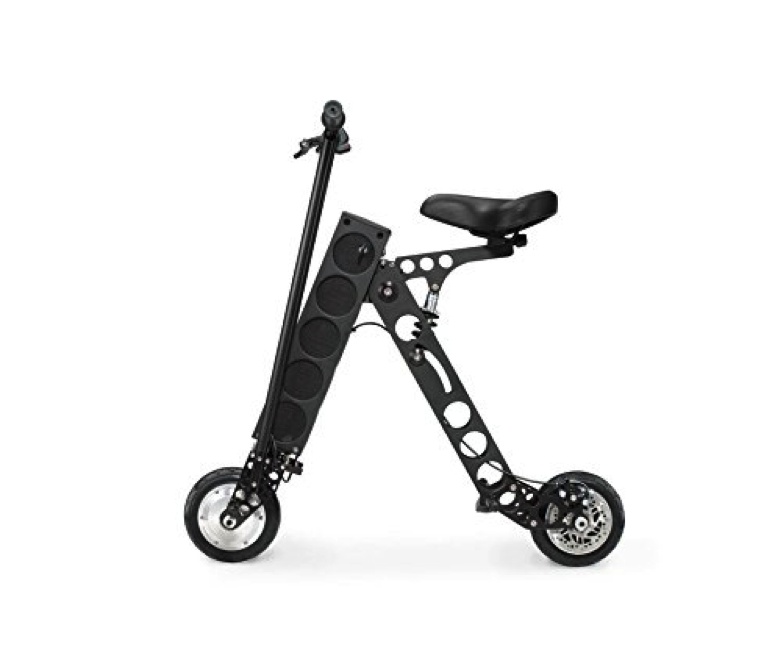 This high-tech scooter is built from carbon fiber and aircraft-grade aluminum and features a USB dock to connect a phone or tablet. 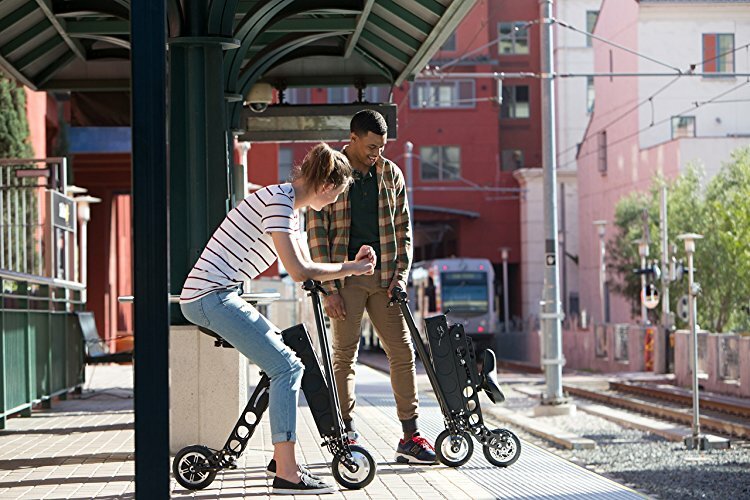 The URB-E Pro is lightweight and hits around 18 miles per hour with a range of 20 miles, making it a great option for commuters who need to be flexible and are constantly on the go. However, the asking price might be unrealistic for most buyers. Yes, definitely a beautiful piece of tech. But there are equally reliable options for less exorbitant prices! 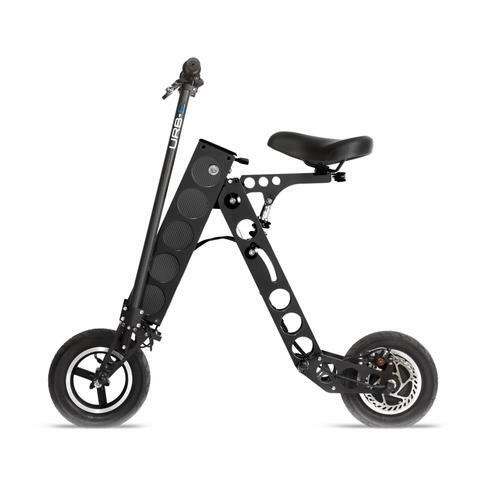 It’s a hefty price, but if you’re going to seriously commit to an electric scooter then why not? This is the kind of investment that isn’t going to fall apart within the first few weeks of buying it – it’s definitely worth the money IMHO. I use this scooter to go everywhere and I love it! I first discovered it at SXSW when they were doing demos and I’m hooked. The quality of this scooter is amazing! The only thing I wish they could add is a mileage reader so I could see how many miles I’ve put on. Love the design! Perfect for living downtown or in a city center. I use mine everyday for my commute and short trips. Wouldn’t recommend it to someone living outside of a city or somewhere hilly though. 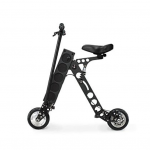 It’s a bit too heavy to carry longer distances and it’s definitely built for flat surfaces. All in all it has been worth the investment for me personally and would recommend it to anyone looking for a solution to their daily commute.